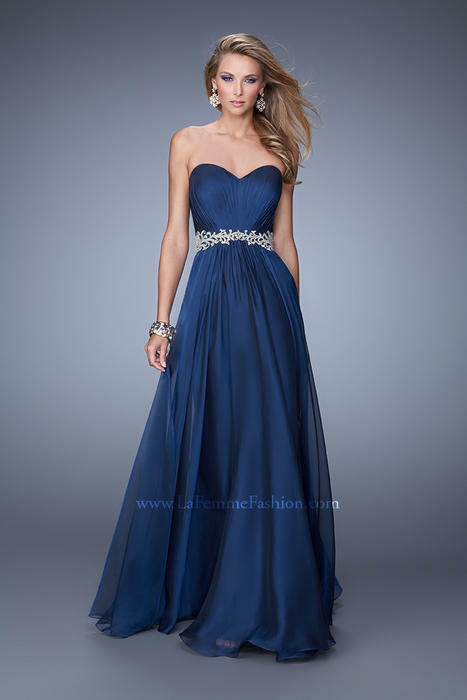 La Femme gowns have a huge following.Their dresses have radiant colors,stylish cuts, and gorgeous embellishments which sets them apart from other designers. La Femme is often seen gracing the Red Carpet by "A" list celebrities. Whether you are going to prom,ball or a wedding La Femme is sure to deliver the look that you desire.